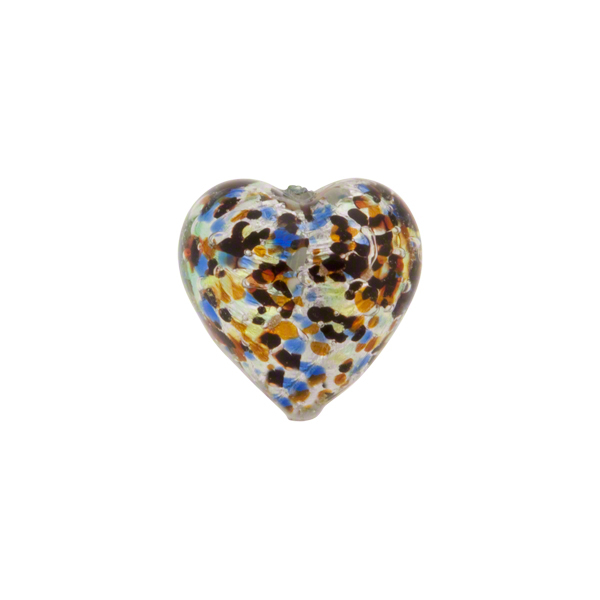 Murano Glass Heart 13mm with sprinkles of multicolor glass over .925 Sterling Silver and eompletely encased in clear Murano Glass. The exact colors and placements of the sprinkles are completely random and no two ever exactly alike. 1mm hole runs vertically through the center of the bead.